MSM helps in the formation of healthy skin, amino acids, connective tissue such as ligaments, & blood proteins giving your pet healthy hair, fur, bones, and stamina. Being physically highly active animal increases the chances of injury/wounds in horses and this may then get complicated into infections and other unwanted things. MSM horse wound ointment gel is a totally organic product that clears out the dead tissue and deeply cleanses the wound. Its rich gel-base diffuses into pores and treats the wound from within. This unique cream has been specially formulated for removal of dead skin cells and infected tissue, drying the wound to prevent the formation of pus cells and sanitize the skin cells against microbes. It clears out the pores and develops acute immunity against microbes. The importance of a healthy and capable horse can never be understated. Horse is a naturally active animal and requires effecient nutrition for physical activity. MSM horse vitamin B syrup & tablet utilizes the organic benefits of sulfur to create and formulate a highly nutritious syrup that comes with the added benefits of vitamin B, that is one of the most essential vitamins for growth and development. This unique product improves fertility and growth rate, keeps your horse healthy and has a profound effect on skin, teeth and general wellness. Moreover, the richness of sulfur combined with vitamin B keeps your Horse healthy and disease free. This formula increases metabolic activity and rehydrates the digestive system, thus giving an acute solution to the internal system problems in horses. This product is completely organic and safe to use and comes at the cheapest available prices. Omega -3 is one of the most vitally required protein compounds found in nature. 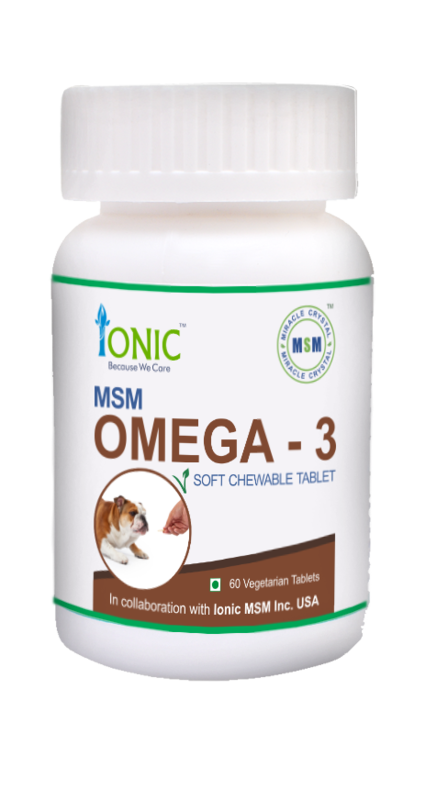 MSM omega-3 soft chewable is a unique combination of omega-3 compound and the natural sulfur extract, which increases muscle growth, body immunity and development of vigor and vitality. Coming in soft-chewable form, it can be easily consumed, without any additional boosters. It is totally organic and free of additives formula that will take effect quickly and will enhance your health and wellness from within.